← Homemade kitty treats for Hades’ 10th birthday! This dessert is a perfect hybrid, with the creamy texture of cheesecake, and the classic caramelized sugar topping of flan. I made it for my brother-in-law’s birthday since he is not a fan of cake (weird, I know). 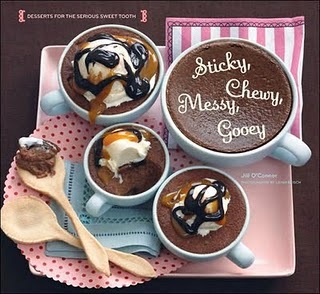 The recipe comes from my favorite book of decadent dessert recipes, Sticky, Chewy, Messy, Gooey: Desserts for the Serious Sweet Tooth. Not only is it rich and sinful, but it is also completely gluten free! *** I could only find creamed coconut in the store, which is a condensed form of coconut. To make cream of coconut, take 1 part creamed coconut and mix it with 2 parts hot water. Let it sit a few minutes to break up the coconut, and then whisk until you have a creamy liquid. Combine sugar, water, and lemon juice in a heavy-bottomed saucepan over medium heat. Mix constantly while the sugar dissolves and starts to turn color. 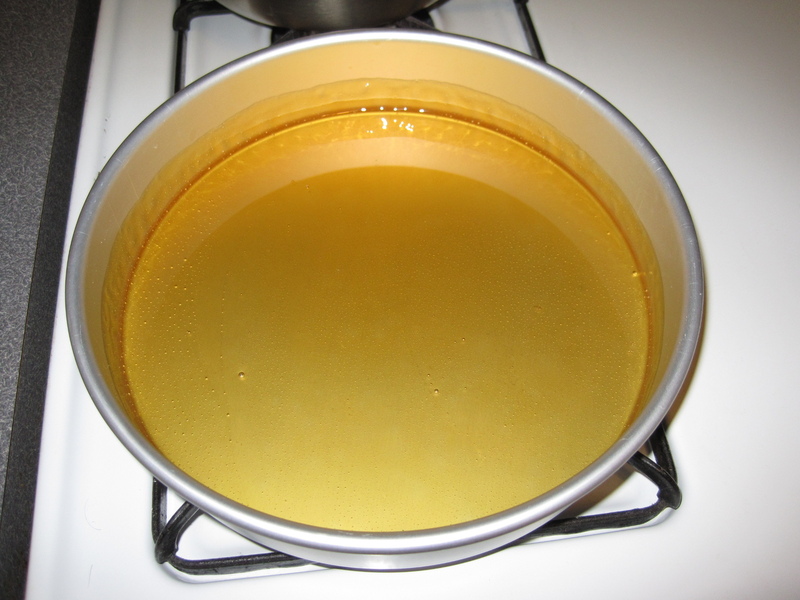 Increase the heat to high and boil until the syrup becomes a deep amber color, about 4-5 minutes. Stir constantly and make sure the syrup does not become too dark, or it will burn. Immediately pour the caramel into a 9-inch round pan, and swirl the pan so that the bottom is completely coated, and the syrup coats the pan halfway up the sides. Combine all of the ingredients (except the boiling water) in a blender and pulse on low speed until just smooth. Strain through a fine-mesh sieve into the caramel-lined pan. As you can see in the picture, the strainer is quite useful in removing large pieces of coconut that would ruin the texture of the flan. Position a rack in the middle of the oven and preheat to 300 degrees. 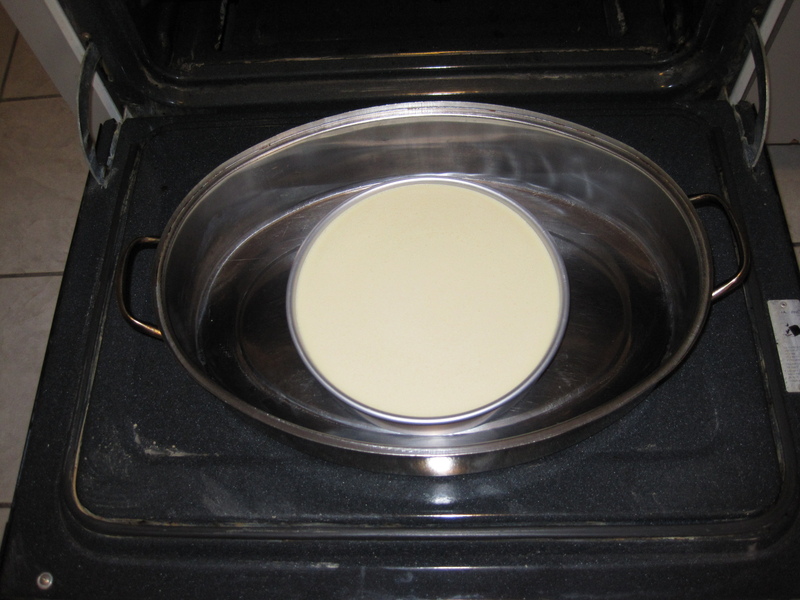 Place the cake pan in a larger roasting pan and place the pan on the rack. 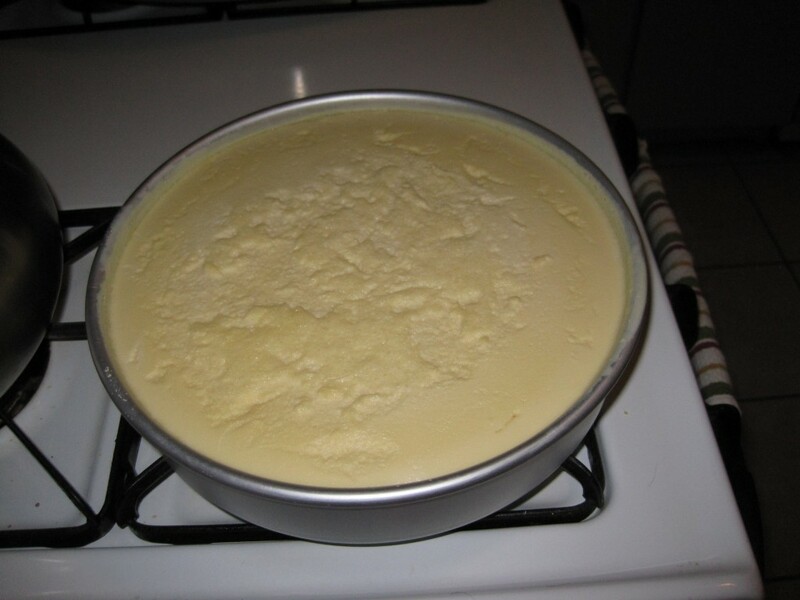 Pour boiling water into the pan until it reaches halfway up the sides of the cake pan. Cover the roasting pan with foil and pierce holes to allow steam to escape. 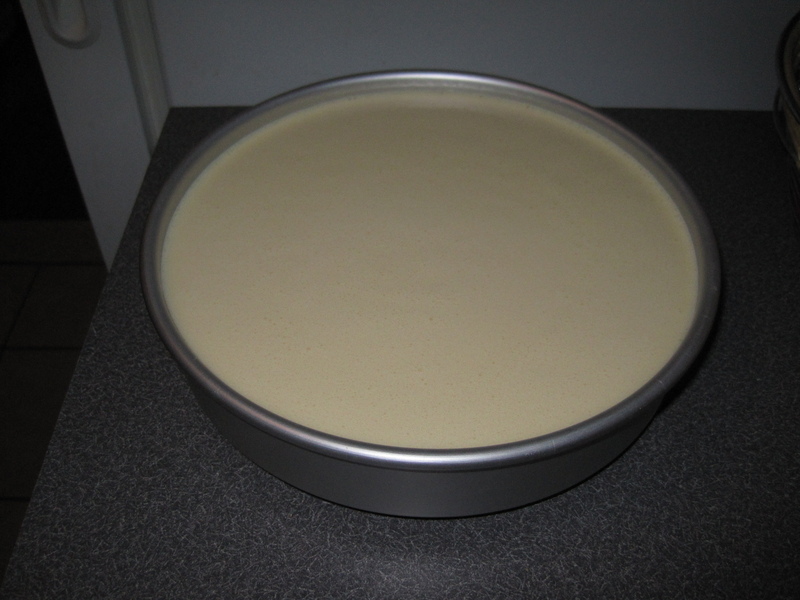 Bake for about 50-60 minutes, until the flan is firm around the edges but slightly jiggly in the center. Flan should be firm to the touch in the center, though. When checking the flan, BE VERY CAREFUL not to get water from the bath into the flan! If you do this, the flan will never set. I happened to get some water on my flan, but thankfully it had already set, and I could just take a paper towel to soak up the water off the top. Once done, allow to cool on a wire rack. Cover with plastic wrap and refrigerate until very cold. Overnight is best. When you are ready to unmold it, run a knife or cake decorating spatula carefully around the edge of the pan to loosen the flan. Make sure you avoid cutting into the flan when doing this. Hold a serving platter over the top of the pan and invert. MAKE SURE THE PLATTER HAS RAISED EDGES TO HOLD THE EXCESS CARAMEL! Pat the bottom of the pan gently to release the custard. 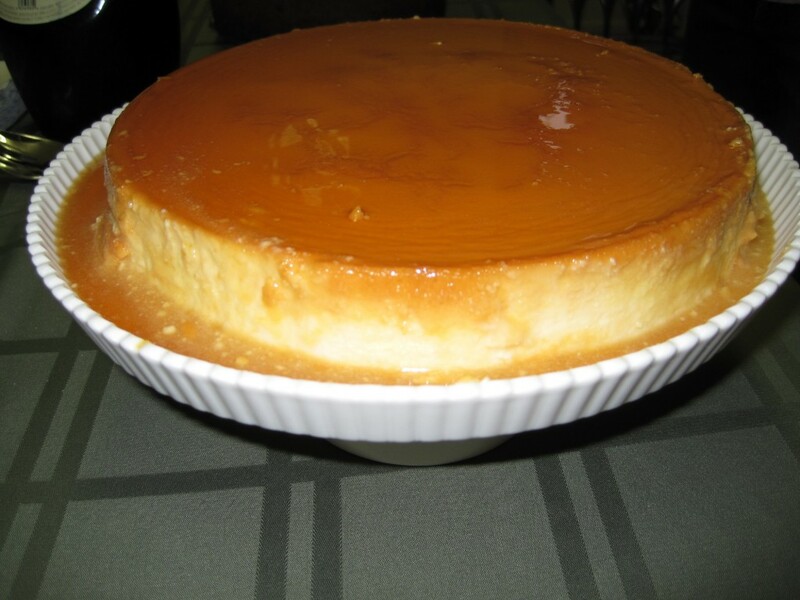 Remove the pan and let the caramel flow on top of the flan and over the sides. Serve immediately. The caramel covering the inside of the pan. 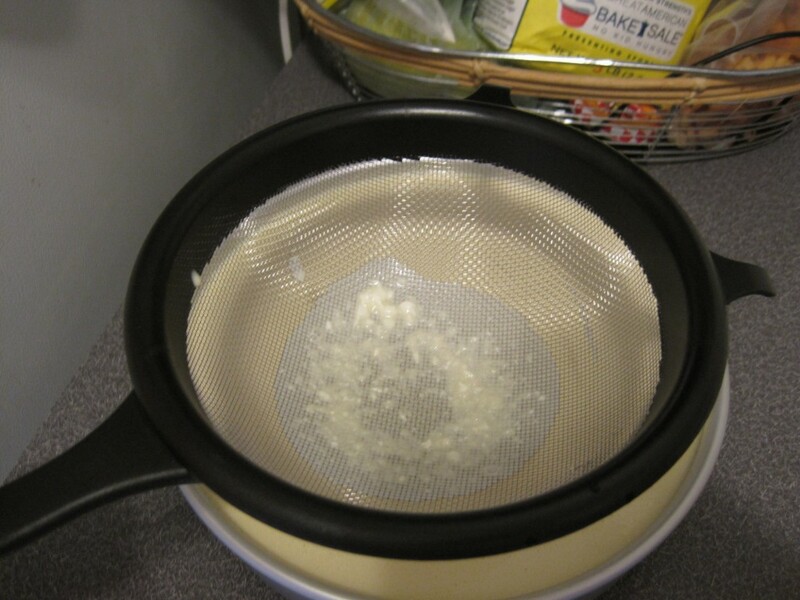 The strainer removes any lumps. The flan poured over the caramel. Inside a roasting pan filled with water so it can steam in the oven. Consistency of final product: firm at the edges, slightly jiggly in the center. This entry was posted in Other Desserts. Bookmark the permalink. The ingredients list above says 1/2 cream of coconut– is that 1/2 a can or a cup?